hiking and backpacking this year! for your favorite warm weather activities, if you haven't already. I always look forward to getting out hiking and backpacking this time of year, and when it comes to being ready for anything, there are a number of things I do to prepare. When you live in an urban environment like I do, storage space is at a premium. I find myself envious of outdoorspeople with garages and basements for storing things like bikes, for example. My road bike and mountain bike, which live in a small spare bedroom in my apartment, double as drying racks for laundry, coat racks, and decorative room accessories when guests visit. But the problem with having a spare bedrooms, garages and basements is that somehow, we tend to fill up every bit of space. There’s a rhyme and reason to how the closet in my spare room is organized, but that doesn’t mean I need everything in it. It also doesn’t mean I can remember everything I have stored, given most of my gear is in opaque storage bins. This spring, take a day or a weekend, depending on how much stuff you’ve accumulated in your storage spaces, and clean everything out. You'll get a better idea of what gear you have, don't have, and what needs replacing. I ended up finding pairs of shoes and backpacks I could pass on to friends, a few things I didn’t remember I had, and noticed that my old MSR stove that desperately needed cleaning. Plus, pulling out all of the old gear brought back great memories of past trips! Keep your gear clean and it'll last longer! as are my EMS boots! Our outdoor gear and apparel can take a beating, and in most cases, that’s what it’s made for. The more you take care of what you’ve got, the longer it’ll last. 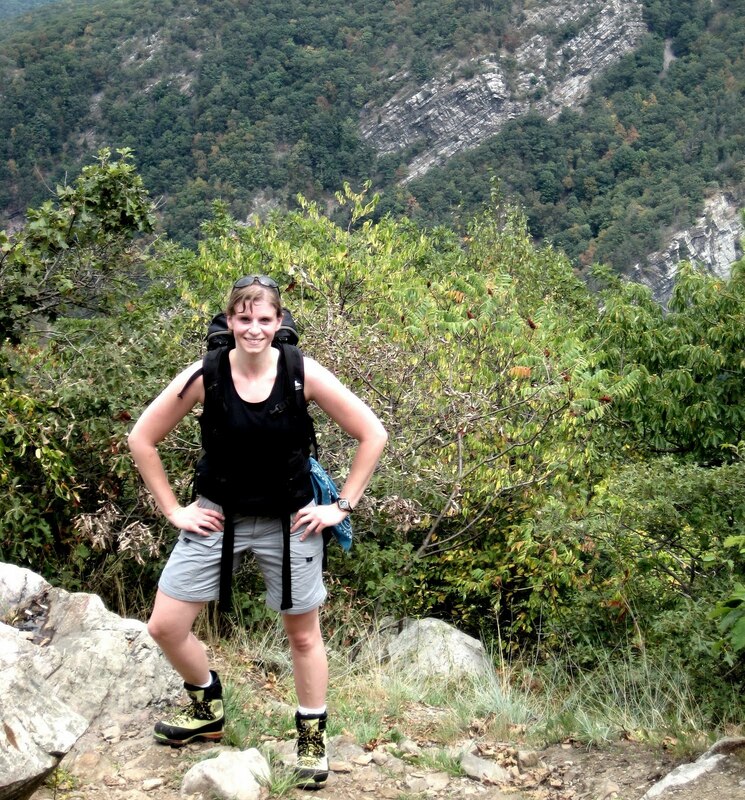 I bought my first pair of backpacking boots at EMS in 2005 and nine years later, I still have and use them regularly. One of my long time backpacking partners recently retired a Cabela's tent he'd used for ten years. Though I attribute the longevity of the boots and the tent to overall quality of construction, it's also a function of off-season care. To keep your footwear in good shape, make sure you give it a good cleaning once in a while. Nikwax makes a footwear cleaning gel that's great for boots like mine, and I started using Nikwax products a few years ago to extend the life of my boots and hiking shoes. After they're clean, using a product like Nikwax Fabric and Leather Proof helps keep my footwear in good condition, and helps keep my feet dry. (You can get both in a twin pack on Amazon.) I've also used Nikwax Down Wash on my (expensive) down sleeping bags, and my backpacking partner used Nikwax Tent & Gear SolarProof to maintain his tent's integrity over the years. 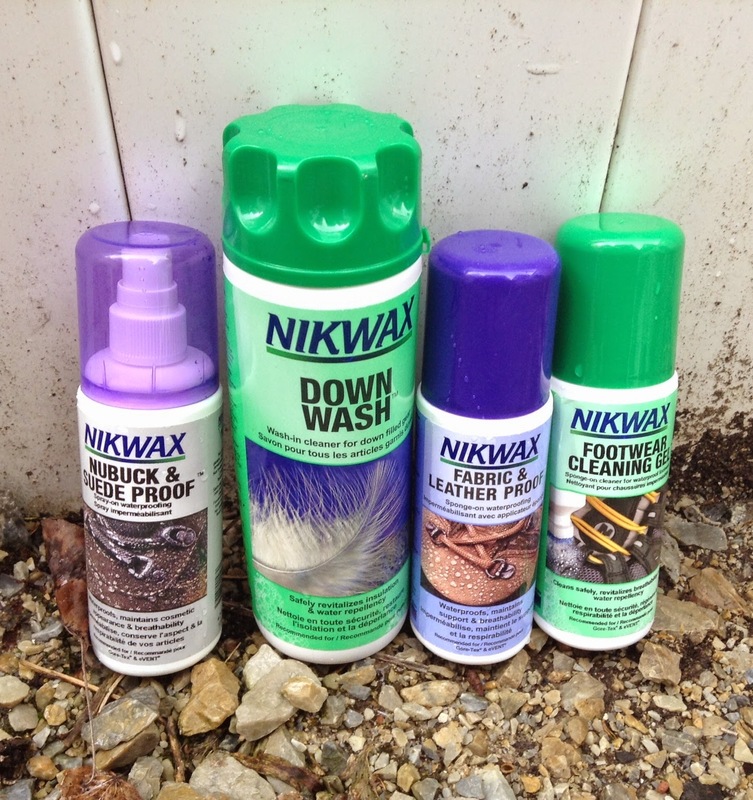 Nikwax products are a great place to start when it comes to ensuring gear longevity. in a cycling jersey, and clips to just about anything! Whether you’re headed out for a day or a week, it’s always good to have emergency and first aid supplies and a variety of hydration options with you, just in case. It’s also important to keep your kit stocked, and to ensure the things in it still serve their intended purpose. I have an Adventure Medical Weekender first aid kit for backpacking trips that I’ve added a SAM splint and a few other supplies to, including iodine tablets to treat water in an emergency. During spring cleaning this year, I noticed I was completely out of first aid ointment and band aids, and my ACE bandage had gone missing. After making plans to replace those items, I dropped in a Smokey paracord bracelet, which also happens to double as a fire-starting aid. Finally, I retired a few leaky water bottles, cleaned out hydration bladders I haven't used all winter, and dropped the 500ml version of Hydrapak's BPA free SoftFlasks into my first aid kit. They collapse down to the size of a crushed beer can, which makes them easy to transport, and now I know I'll always have an extra water bottle in case I or one of my hiking partners forgets to bring one. Pulling out maps always gets me excited about trip planning! Between lists of destinations I'd love to visit, looking at past trip reports, and reading about places some of my friends have been, it's overwhelming thinking about all of the trip possibilities. Overwhelming enough, in fact, that I have to narrow my focus to keep from panicking that I won't have a chance to visit all of the places I'd like to in my lifetime. 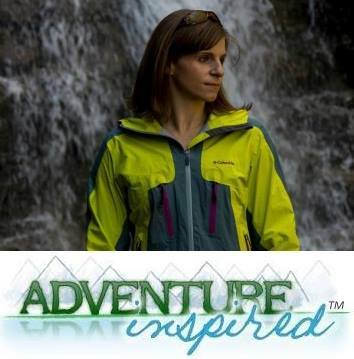 This summer, I have a short list of backpacking trips I'd like to do, new sports to try, like whitewater rafting, and pursuits I haven't spent as much time on as I'd like to, including mountain biking. Start by setting aside time for specific activities, and as most trips involve maps and logistical considerations, the earlier you start the planning process, the better. Ordering maps and guides is also guaranteed to get me excited about what's to come. How do you transition your gear and trip planning from season to season? Is your gear closet pretty well organized? What are some essential pieces of gear you always make sure to maintain? Sound off in the comments! Huge thanks to Nikwax and Outside PR for providing samples of some of the products mentioned in this post! Of course, as always, all opinions related to gear and apparel on Adventure-Inspired are my own. I try to keep my gear organized into three plastic bins: winter, summer, and biking. Somehow, they magically end up with lots of crossover between the three by the end of the season and I have to reorganize. For example, I can't find my belay device. I'm thinking it might have ended up in the winter gear bin?